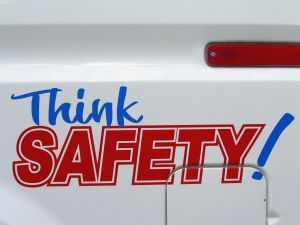 Officials with the Federal Motor Carrier Safety Administration (FMCSA) recently announced a number of improvements to the Compliance Safety Accountability (CSA) program. This is the program that helps safety officials to identify and address safety concerns among bus and trucking companies. “Good data plays a key role in keeping our nation’s roads safe,” said Transportation Secretary Ray LaHood. Our Boston personal injury attorneys understand the risks that accompany commercial buses and large, commercial trucks on our roadways. Not only do we expect commercial buses to be safe for passengers, we expect them to be operated in a safe manner. When a commercial truck or bus driver fails in that regard, it’s typically the occupants of passenger vehicles who pay the price. The power and the weight of these large vehicles overpower other vehicles on the road. That’s why it’s so important that these vehicles are properly regulated and that they’re kept in safe operating condition. -Altering the Changing the Cargo-Related BASIC (Behavior Analysis and Safety Improvement Category) to the Hazardous Materials (HM) Compliance BASIC. This is going to help safety officials to better point our compliance and safety issues. According to FMCSA, this change will help to supervise more carriers. -Fatigued Driving BASIC will be changed over to Hours-of-Service (HOS) Compliance BASIC. Officials think that this change will help them to better keep track of these kinds of violations and will allow them to monitor both electronic and paper records more efficiently. -Now, there will be separate busing classifications for buses that carry more than 15 passengers and those that carry fewer. -There will no longer be classifications for those carrying fewer than 8 passengers, like taxis, limos, vans, etc. -Violation records will be kept in accordance with the specifications of the inspections. Drivers’ violations will be kept under driver inspections instead of in the broad “inspection” category. Last year, there were close to 4,000 people who were killed in accidents with large trucks and buses — down about 4.5 percent from the previous year. Still, enforcement of exisiting laws is critical to improving safety for everyone. Consumers are urged to check out a company’s safety rating before hiring a busing company. Drivers are also asked to beware when driving near large, commercial vehicles. Drivers who operate these vehicles are required to have their Commercial Motor Vehicle (CMV) driver’s license. Even the most experienced drivers are at serious risks for engaging in dangerous driving activities that could end up caused fatal accidents, according to the FMCSA. -Failing to alter driving habits to accommodate current weather and traffic conditions. Never travel too fast for safety. -Neglecting to look for other vehicles before making a move in traffic. -Being too tired to drive. -Driving under the influence of alcohol or drugs. -Inattention and even daydream oftentimes affect these drivers on long road trips. If you, a friend or a family member has been involved in an accident, contact Boston Injury Attorney Jeffrey S. Glassman for a free and confidential consultation to discuss your rights. Call 877-617-5333.